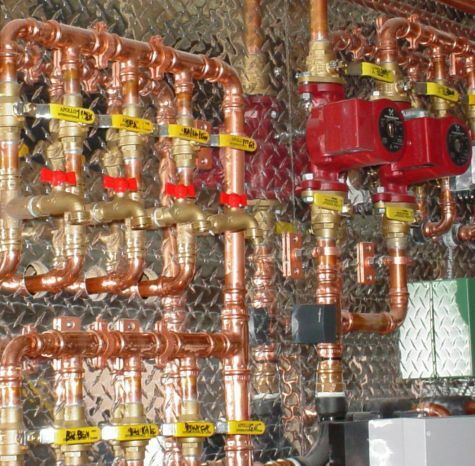 The homeowner wanted the boiler room to be state of the art. 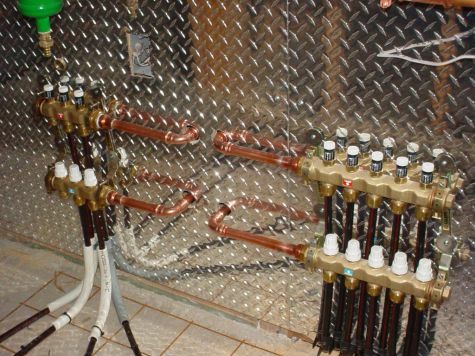 We used diamond plate behind the manifolds and piping for the boiler and radiant heating system. Viessmann Vitodens 200 WB2 11-44 gas-fired, condensing hot water boiler. 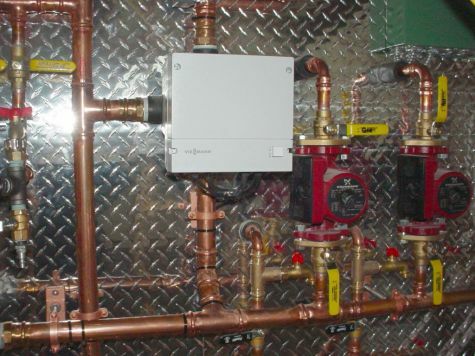 MegaStor indirect fired hot water heater. Unico mini-duct hydro air system for air conditioning and supplemental heating. Zone 1: Stadler (Viega) Radiant floor heating system. Zone 2: Stadler (Viega) Radiant floor heating system. Zone 3: Stadler (Viega) Radiant floor heating system. Zone 4: Stadler (Viega) Radiant floor heating system. Zone 5: Stadler (Viega) Radiant floor heating system. 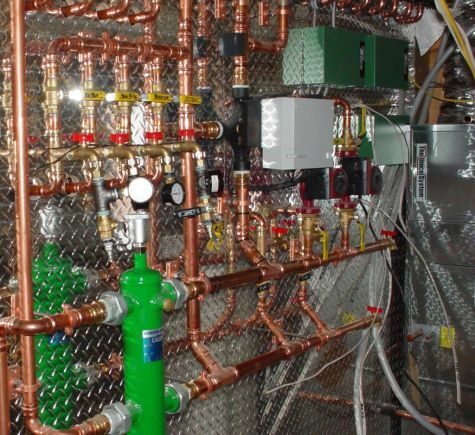 Zone 6: Stadler (Viega) Radiant floor heating system. 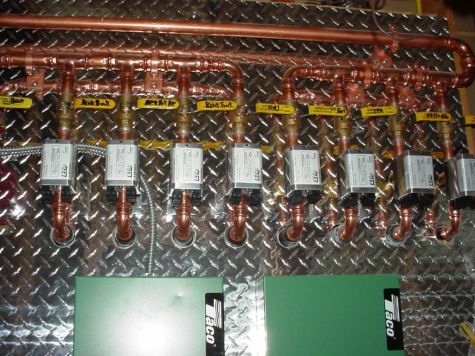 Zone 7: Stadler (Viega) Radiant floor heating system. Zone 8: Stadler (Viega) Radiant floor heating system. All Zones: Hydro Air Unico System for Air Conditioning and supplemental heating for extreme cold days.